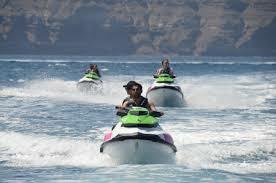 Jet skis are a fun and exhilarating way to explore the coastline! Come and join us for the adventure of a lifetime, and discover the picturesque Fal River and scenery along the south Cornish coast. Falmouth Harbour, Helford River and its surrounds is the ideal place to learn and hone your jetski skills with one of our experienced, PWC qualified instructors. You will have the opportunity to explore the local area on one of our brand new Seadoo Spark Jetski`s capable of speeds in excess of 50 Knots ! 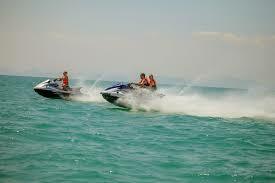 We are able to offer a two hour Jetski Safari or book in for our Personal Water Craft course to gain your Personal Water Craft Proficiency Certificate. (All clients wishing to go on the Safari need to hold the PWC Proficiency Certificate before joining this trip). 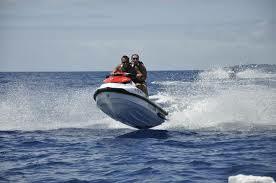 We are able to supply wetsuits, gloves, boots and lifejackets.